Our founder, Steven A Heisler has been a lifelong Michigan resident. He graduated from Saint Clair County Community College in Port Huron, Michigan where he earned his A.D.G.B. (Associates Degree in General Business) degree. Mr. Heisler continued his business education at Baker College in Flint, Mt. Clemens, and Port Huron, Michigan where he earned his B.B.L. (Bachelors of Business Leadership) degree. Mr. Heisler’s legal education was from one of the nation’s most respected law school in the United States, Western Michigan University Cooley Law School, formally Thomas M. Cooley Law School in Lansing, Michigan where he earned his J.D. (Jurist Doctor) degree. THE HEISLER LAW GROUP is highly respected by others in the legal community and is known as a very ethical law firm that fights for its clients. THE HEISLER LAW GROUP is not just respected in the legal community, it is also highly respected in the higher education community where the founder was a professor at SC4 (Saint Clair County Community College) where he taught the defensive tactics and criminal court procedure classes. The founder has also spoken to graduating classes at Western Michigan University Cooley Law School, formally Thomas M. Cooley Law School in Lansing, Michigan. 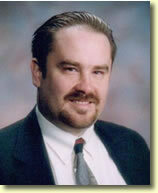 The founder has also been a presiding judge for Mock Trial programs from at the high school to the law school levels. The attorneys at THE HEISLER LAW GROUP have successfully represented other law firms, attorneys, individuals and corporations. The attorneys at THE HEISLER LAW GROUP have worked on cases featured on A&E TV’s City Confidential as well as local high profile cases. The founder of THE HEISLER LAW GROUP has even represented a member of Linkin Park, a top forty band. While the attorneys at THE HEISLER LAW GROUP enjoys working on high profile cases and representing high profile people, they also enjoys helping the average person too. See what other attorneys are saying about the founder of THE HEISLER LAW GROUP by clicking here. © 2019 by The Heisler Law Group. All rights reserved. You should consult an attorney for individual advice regarding your own situation.